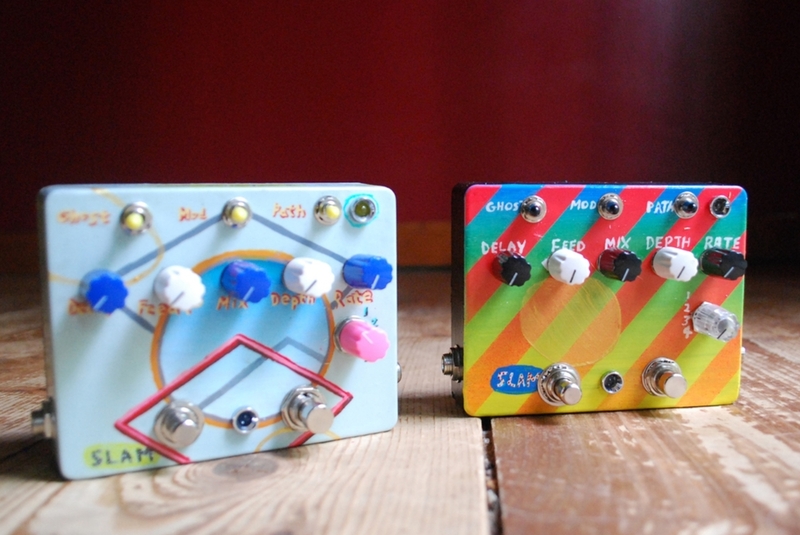 A nasty, noisy delay pedal with a raucous paint job. See what effects are sitting in our china cabinet and ready to ship. Every pedal is hand painted by a local artist. We guarantee your unit is a total one of a kind. Meet the artists. Follow EAR on Instagram to see what's cooking in the cabin.